Wright State University has decided not to host the first general election presidential debate, citing mounting costs and security concerns. The debate is scheduled for Sept. 26 and was to be held at the Wright State Nutter Center. It will now instead be held at Hofstra University in New York, which is the alternate site. Unlike private universities that have hosted debates in the past, Wright State cannot restrict public access to its campus, which adds to security challenges. The Wright State Board of Trustees fully supports Hopkins’ decision, said board Chair Michael Bridges. Hosting the debate was expected to cost Wright State between $3 million and $5 million and as much as $8 million. Hopkins said the costs of additional necessary security would add to the financial burden on the university. 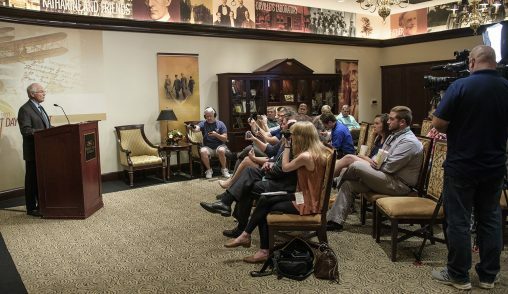 Hopkins expects many debate-related activities at Wright State to go on as planned, possibly including a debate festival, an issues forum and debate watch parties. Hopkins thanked students, faculty, staff, alumni, and members of the community, especially the host committee, who have been preparing to host the debate.